A blend of two clones (MV6 and 114), this is a floral wine that blends ripe cherries with more savory notes of mushroom and smoke. The oak is wonderfully understated, which allows the fruit complexity to shine and leaves the fruit tannins to glide easily across the palate. Drink now–2025. This north-facing slope planted to seven clones of Pinot Noir seems to produce better wines every year. The 2013 is medium-bodied yet creamy-textured and lush, with black cherry fruit framed by cedar and vanilla. It’s silky and vibrant on the finish, making it a treat to drink already. To judge by the aromas— a complex herbal mélange containing hints of cabbage leaf, tea and acacia blossom—this includes a healthy proportion of stems. On the palate, the black cherry and plum fruit asserts itself, while the texture is crisp and silky, lingering through the finish. Drink now–2025. 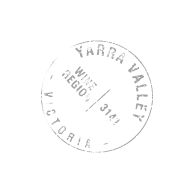 Located in the upper Yarra, this site normally yields Pinots higher in acid and tighter in structure than the Sexton Vineyard. The 2013 marries fruity and savory elements of cherries and mushrooms in a medium-bodied, silky package. It’s bright and generous from the bold start to the lengthy finish. Drink now–2023. Since Brokenwood’s Hunter Valley location isn’t ideal for Pinot Noir, it sources the grapes for this wine from Beechworth (inland Victoria). This is a fine, crisp wine for early drinking. Lacy floral and cherry aromas lead the way, followed by tart flavors reminiscent of berry zinger tea. This reflects the Yarra region’s Pinot Noir character well, combining earthy, cola- and beet-scented notes with well-ripened tannins and medium body. There’s a fair bit of textural richness for such a modestly priced Pinot. Drink now. A solid value, the 2013 Shoofly is an open-knit, savory wine for drinking over the next year or two. Cola and earth predominate, dressed up by hints of dried spices and green coffee bean.